I guess it's kind of a Hiatus but more likely to never finish! For the handful of people who stuck around, thank you. I'm sorry I cannot finish the story properly. If you'd like to hear more about why I've decided to do this or see more of my work, my blog is below. Sad to hear, one of my favorites on this site. Good luck with what you do next! Aw dangit. 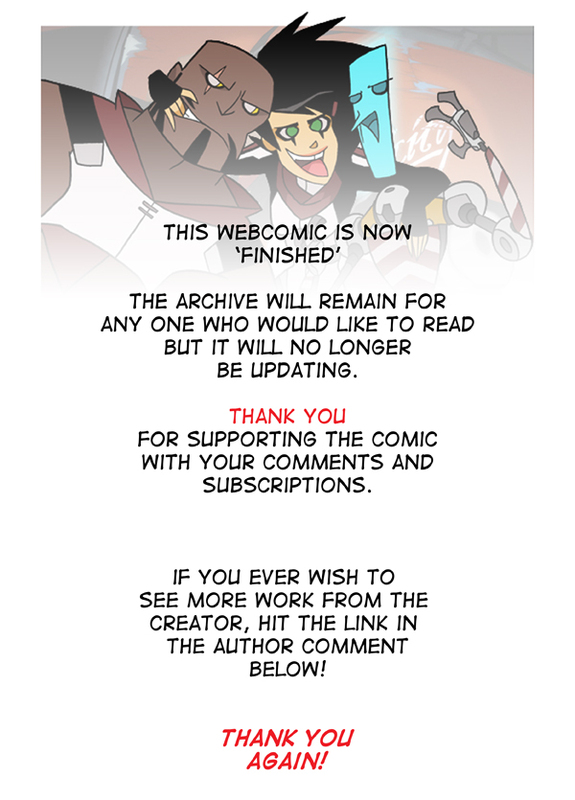 I'll keep watching your dA at least, and who knows, maybe you'll come back to this someday..
You will be missed, I really loved this web-comic. Good luck on your future endeavors.